GOOD MORNING my creative friends & welcome to another "Thrifty Thursday"! This is the day that my design team & myself use our scraps to make a project! For today I just made a simple card using my new sequins that I got for my birthday! ;) I just LOVE they way they look on cards & don't be surprised if you start seeing them in every color! lol.... You can see below the list of supplies I used for my card! ~ Scraps are from a paper pad called "Summer Stories"
Weren't ALL of these cards AMAZING??? Well I hope you ALL are inspired to go make something using your scraps! Your card is really cute and lov your color combo. Your restroom peep die and arrow with the bling. I often wondered if you get crafty item for presents now I know you do. (tee hee) I always love how you sew on your projects I have to start doing that. Thanks again for such a sweet crafting idea. This may be one of my favorite MCT posts...really great cards by all! 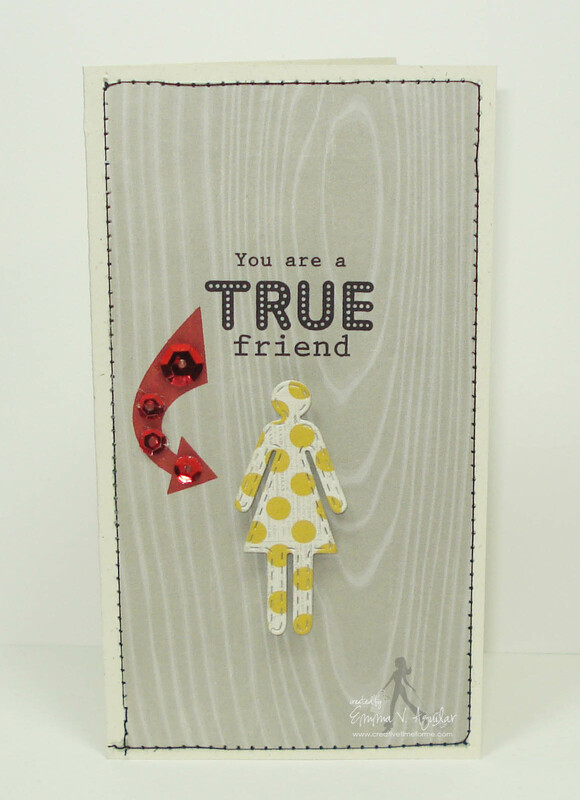 Cute little card, Emma! Love it!!! So glad to see the challenge is extended as I have had graduation cards that had to get done first and I thought the challenge ended last week. Great card and love the sequins :D Everyone did a great job on their cards today...now if I can come up with a different idea myself! Great jobs everyone. what gorgeous inspiration!! I love them all!! Also, I have been wondering where you get the chunky glitter? It always looks so fun and fabulous!! 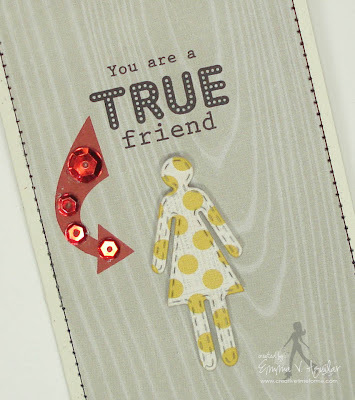 Such wonderful cards... lots of inspiration.... love the use of scraps here!